It is no secret that Jewish Young Adults of today are primarily part of the privileged upper-middle class, except for the few who are middle class or upper class. It is also no secret that part of being of the upper-middle class is the guilt associated with being upper-middle class. Therefore, in order to assuage that guilt, JYAs have incorporated a compulsory stint in volunteering, which usually happens from 18 to 30, as a veritable rite of passage into adulthood. What is unique about this volunteer work is that JYAs will pay extraordinary sums of money, or rather their parents will, just to add this required line to their Nice Jewish Boy/Girl resume. Considering this, many organizations have capitalized on guilt and created entire institutions devoted toward taking money from the parents of JYAs in exchange for an opportunity to alleviate some guilt with a bevy of opportunities for volunteer work. 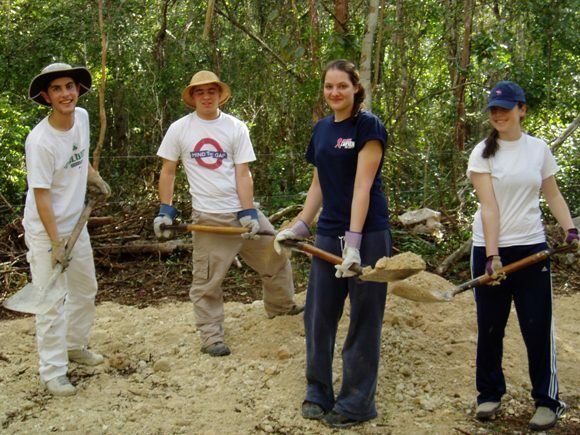 Want to spend two weeks on an alternative spring break digging irrigation ditches in Guatemala? All you need is a check for 550 bucks to the American Jewish World Service, plus you have to buy your own ticket. Want to help with Katrina relief for a week? Just sign up with your local Hillel for a mere 125 dollars and get yourself a round trip flight. Looking to help alleviate urban plight in your favorite metropolitan city? Just get yourself a Grand and sign up with Avodah: The Jewish Service Corps. Feeling a little more adventurous? Why not spend $7,600 for a 5 month experience in Jerusalem with WUJS? Effectively, even though JYAs are spending their hard earn cash on good causes, they also get the added benefit of being surrounded by other JYAs who similarly paid money to get their smooch on after half-assed attempts in volunteering. Jewish Young Adults of today are a varied and eclectic sort. While they have many underlying similarities in their personalities or dispositions, there are very few external clues that indicate to Non-Jews the presence of JYAs. One of these few exterior hints is the use of Tiffany’s jewelry as an accessory. It is unclear why Tiffany’s specifically has made its way into the hearts and minds (and necklines and wrists) of JYAs as opposed to any other competitor like Signet. The company has no Jewish roots, and very few of the designers have been Jewish (with notable exception of Frank Gehry). Yet the signature bracelets and necklaces of this moneyed Manhattan Mecca have become de facto uniforms for JYAs everywhere. It is important to note that the allure of Tiffany’s affects both JYA females AND males. For females the allure is practically universal. 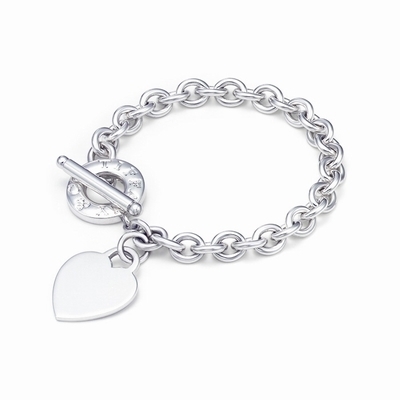 From LA to London JYA females can be seen sporting the signature silver chain link bracelet with dangly heart charm. Another popular item is the round pendant necklace with the inscription of a large cursive letter. Even those JYA females that generally shun any form of blingy accessories in favor of Nalgene Bottles have a pair of Tiffany’s earrings they received for a birthday or graduation. Even though Tiffany’s jewelry can run on the expensive side, there is no denying the appeal, regardless of how much you enjoy rocking the bling, and odds are very strong if you see a girl at a club sporting a bracelet with a dangly heart attached to it, she is a JYA. During the course of any Jewish Young Adults life, there is undoubtedly a period where the JYA will explore his/her religious side and dabble in various forms of piety. There are varied degrees of religious inclination, but odds are strong that somewhere between 18 and 35 every JYA has gone on some version of personal exploration in Judaism. 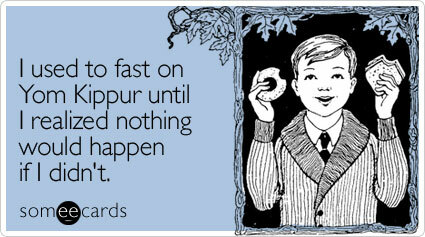 In many instances this means observing Shabbat, usually for a period of two weeks to three months. Frequently this decision happens immediately after the JYA has returned from an organized trip to Israel, like Birthright, when the seeds of Judaism are particularly fertile. In some cases this initial interest flourishes into a strong religious connection of renewed spirituality for the JYA. In other cases the JYA reverts back to his/her initial secularism because there is a party on Friday night that they simply can’t miss. Some JYAs delve even deeper when flirting with the Jewish faith, sometimes spending some time at one of the many Yeshivot in Israel, like Aliyos Shmuel, or spending a weekend praying with religious Zionist Aish HaTorah members in communities like Efrat. Another example is twenty-six year old JYA “Gabe”, from Boston, who returned to his hometown after a year in Israel with Otzmah, eager to incorporate some of his newfound interest and passion for the religion by abstaining from all leavened products for the entire duration of Passover. While Gabe was used to the ease of keeping Passover in Israel, where there simply isn’t the option to buy leavened products, he found himself on the 3rd night saying Shehecheyanu over a pizza and Sam Adams out with his friends. Whatever the extent, be it momentary of life-long, dabbling into the religious side of Judaism is a rite of passage for any JYA, almost as important as getting your first kiss in 7th grade during an awkward game of Truth or Dare at Jewish summer camp. Jewish Young Adults of today tend to lean on the “Green” and eco-friendly side of things, eager to debate about the size of their carbon footprints or the cost/benefit of various alternative energy sources. 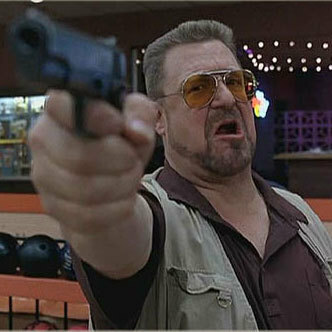 Their emphatic environmentalism is sometimes expressed in other ways as well besides just through arguments. Specifically, JYAs have developed a bizarre attachment in recent years to Nalgene Bottles. These plastic wonders, in both wide-lipped and thin-lipped form, were originally created for use in medical laboratories, but have gained widespread fame and notoriety for their near indestructibility and brand-worthiness. 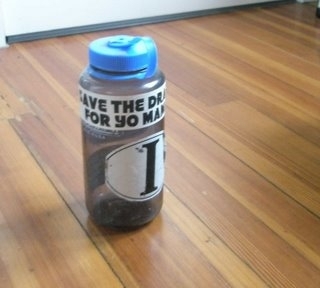 Today Nalgenes can be seen dotting the JYA landscape from colleges to minyans to singles events. What is unique about JYAs and their Nalgene fetish is that the use differs between subgroups of JYAs. For example, JYAs of the Northwest, from cities like Portland, Seattle, Denver, or San Francisco, tend to use their Nalgenes on an almost daily basis. These JYAs, frequently nicknamed “Granola Jews”, tend to be avid hikers, trekkers, and general outdoorsy types. They prefer their Nalgene bottles in the original wide-lipped grey color and frequently accessorize their Nalgenes with stickers of “Keep Tahoe Blue” or “Save Mount Diablo”, or even wrapped in duct tape. “Because you never know when you are going to need some duct tape” said “Jason”, a JYA from Eugene, Oregon. Most JYAs fall somewhere in the middle, and keep a Nalgene bottle conveniently in the trunk of their car at all times, usually filled with stale water, so they don’t have to keep remembering where they put it. 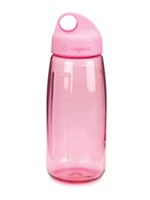 Whatever the reason, Nalgene Bottles have become a staple JYA accessory across the United States, and odds are strong that if you see a hiker on the trail with a Nalgene, or at the gym in Westwood with a Nalgene, that person is probably a JYA.